Dr. Agarwal, Dr. Maloney, and Dr. Gill provide exclusive offer on special products and services! On Thursday, August 11, 2016, Dr. Agarwal, Dr. Maloney and Dr. Gill of the Aesthetic Surgery Center will be throwing a Botox® Cosmetic party at their practice in Naples, FL, for people interested in diminishing the appearance of fine lines and wrinkles. The practice is also offering 20% off all injectable products, skin care products, and spa services. The event takes place from 8:30 am to 4:30 pm at 11181 Health Park Blvd, Suite 1115 Naples, FL 34110. At this time the staff will familiarize guests with Botox® Cosmetic treatments, skin care, and spa services. The party will offer a relaxed environment to learn more about Botox® Cosmetic treatments and other injectables and their benefits. Botox® Cosmetic is the most requested non-surgical cosmetic treatment in the United States for both men and women of any age. Botox® Cosmetic is a purified toxin that is injected directly into the overactive muscles that cause wrinkles to form. The injections stop the muscles from contracting and forming wrinkles. Frown lines, crow’s feet, forehead furrows, bunny lines (lines at the bridge of the nose), the chin, upper lip and the skin bands of the back of the neck are common treatment areas. Botox® Cosmetic injections can also be used to treat excessive sweating. During a Botox® Cosmetic procedure, Dr. Agarwal, Dr. Maloney, and Dr. Gill will determine exactly where to administer the injections. Topical anesthetic cream and ice are used to alleviate any discomfort. The entire procedure takes about ten minutes and is performed as an in-office procedure. There may be some bruising at the injection site, but the procedure is considered very safe. The results last for three to four months. Aesthetic Surgery Center also offers Juvederm, Radiesse, Restylane, Juvederm Voluma, and Bellafill. These injectables can help to fill in sunken areas of the cheeks or under the eyes, or even plump the lips. They can also be applied during your Botox® Cosmetic procedure. 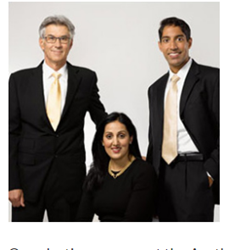 Dr. Agarwal and Dr. Maloney are Facial Plastic Surgeons. They both have double board certification from the American Board of Plastic and Facial Reconstructive Surgery and the American Board of Otolaryngology. Dr. Gill is a Plastic and Reconstructive Surgeon with advanced fellowship training in aesthetic surgery. The doctors at Aesthetic Surgery Center strongly believe in helping people look their best with injectable treatments. These non-invasive treatments offer great results with little downtime. Call 239-594-9100 to reserve your spot and to learn more about Botox® Cosmetic treatments and its benefits.